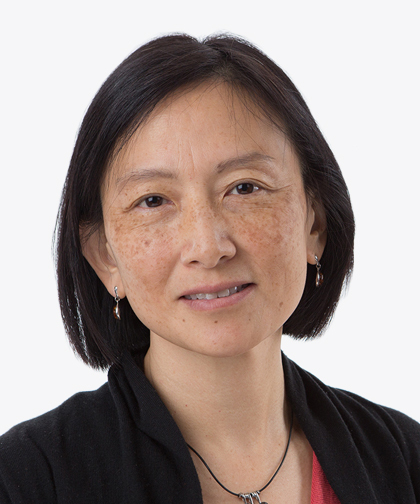 Michelle N. Gong, MD, MS, is a Professor of Medicine and Epidemiology and Population Health at Albert Einstein College of Medicine. She is also the Interim Chief of Critical Care Medicine, Associate Chief of Academic Affairs, and Director of Critical Care Research at Montefiore. Dr. Gong’s clinical focus is on critical care delivery, predictive analytics, and process improvements, such as the implementation of sedation and delirium protocols and early mobilization in the medical intensive care unit, which has reduced the duration of mechanical ventilation, length of stay, hospital costs, and ICU complications. She joined the Einstein/Montefiore faculty in July 2009. Dr. Gong received an Engineering degree at the University of Pennsylvania. She then went on to earn her Doctor of Medicine at the Yale University School of Medicine. She completed her postdoctoral training at the Beth Israel Hospital in medicine and at the Brigham and Women’s Hospital in the Harvard Combined Program in Pulmonary and Critical Care Medicine. Dr. Gong studied at the Harvard School of Public Health, receiving her Master’s Degree in Clinical Epidemiology. Dr. Gong has spent her career improving outcomes in patients along the entire continuum of critical illness, from its development to progression and recovery, with an overall focus on the prediction and prevention of acute organ failure and its complications. Her current research ranges from acute respiratory distress syndrome to prevention of delirium, treatment of severe influenza, big data and predictive analysis in risk prediction, and effective clinical decision support systems. Under her leadership, Montefiore/Einstein was selected as a clinical center for the NHLBI Prevention and Early Treatment of Acute Lung Injury (PETAL) Clinical Trials Network which represents the first representation of a medical center from the New York and the tri-state area. Collaborating with the research informatics and healthcare industries, Dr. Gong has fostered the application of informatic approaches to drive improvement in healthcare delivery and research. In 2013, Dr. Gong received the ATS Innovation in Fellowship Education Award. She is board certified by the American Board of Internal Medicine in Internal Medicine, Critical Care Medicine, Palliative Care Medicine, and Pulmonary Medicine.